Yesterday I posted the result of my year-long endeavor with hitomezashi, the “one-stitch” style of sashiko done with alternating over-and-under stitches. 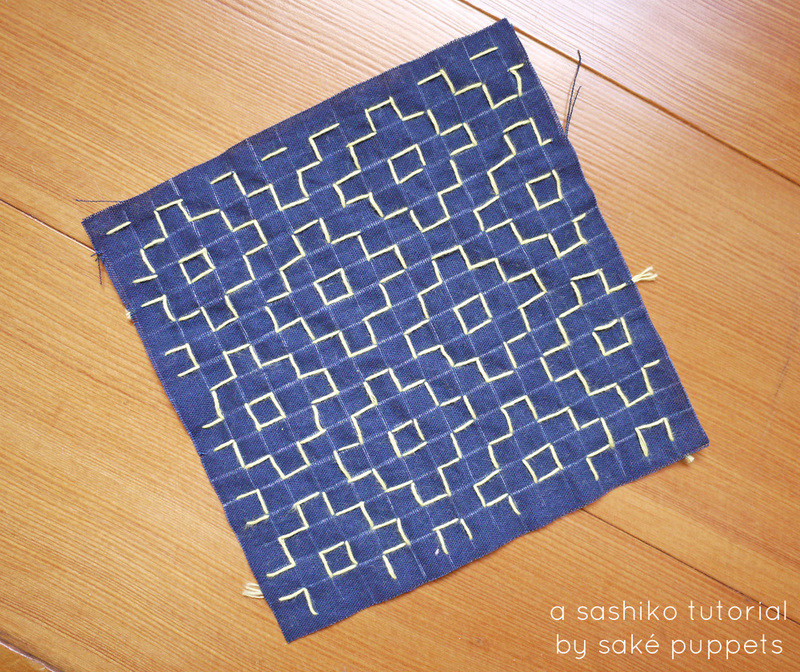 Today I thought I’d post a tutorial so you can try this style of sashiko at home. 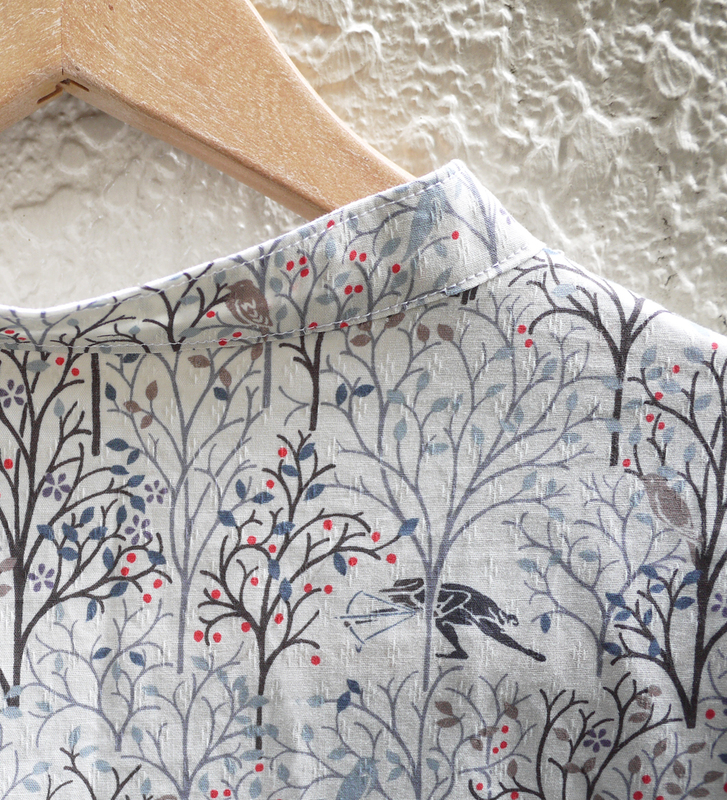 I bought a pre-printed pattern, but once I got going I realized it wasn’t necessary. 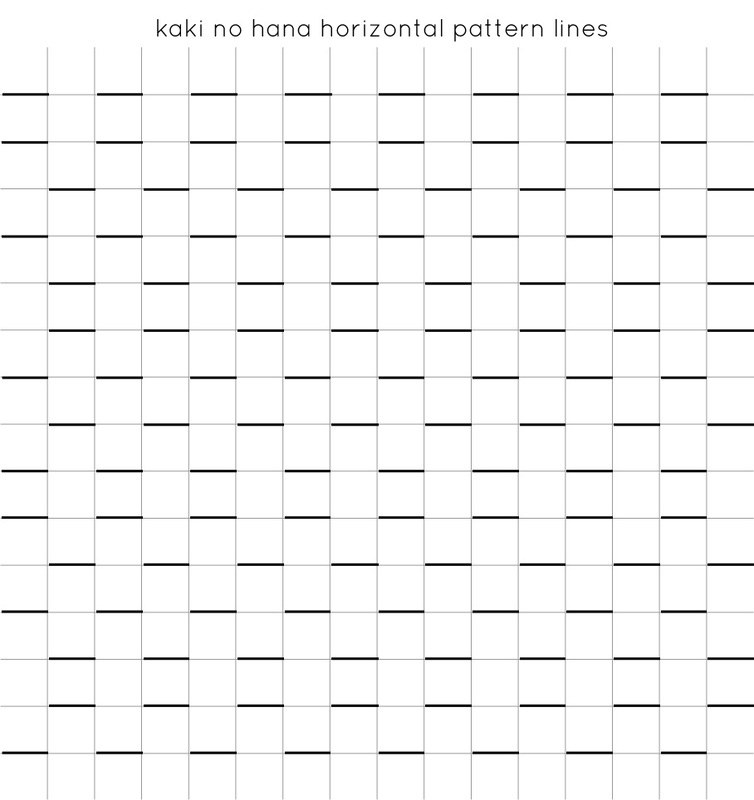 Hitomezashi is straightforward, with alternating stitches on a grid. Much like knitting, the repeating pattern is easy to memorize and follow. 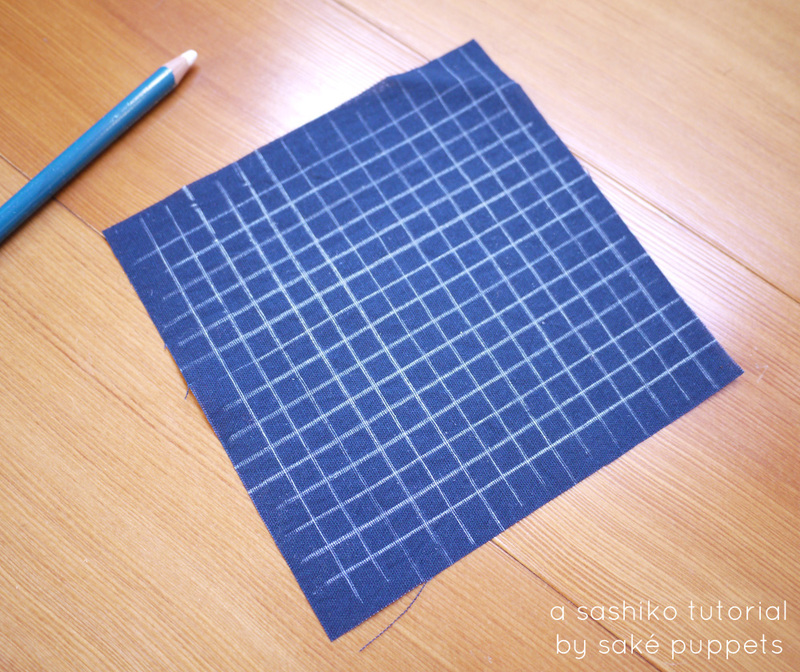 Let’s begin by drawing your grid onto your fabric. I made my lines 1/4″ apart. Draw lightly, you want these to wash out later, but you also don’t want them to wear off too soon. 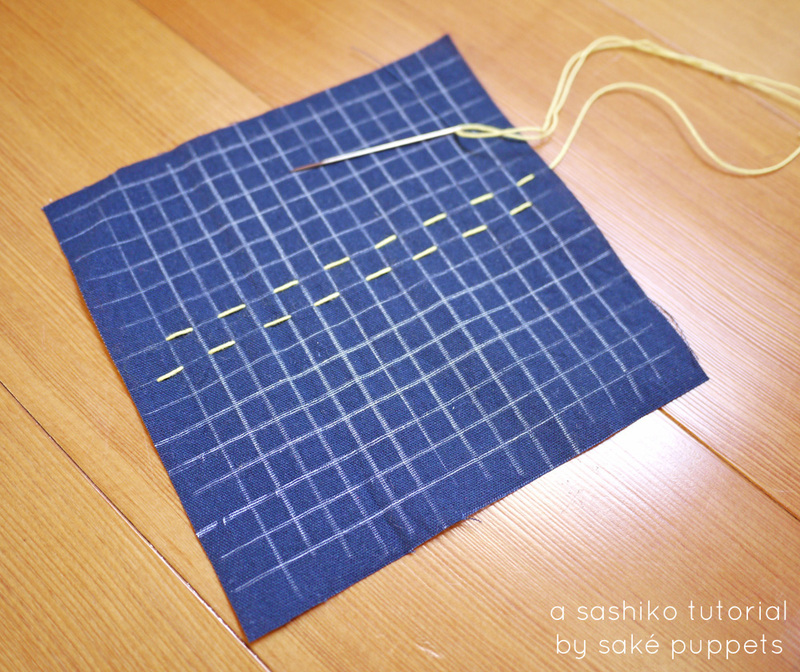 Now you’ll simply follow a pattern, making one stitch per space on the grid. Stitch all of the horizontal lines first, then proceed to stitch all of the vertical lines. In the end, your pattern will emerge! 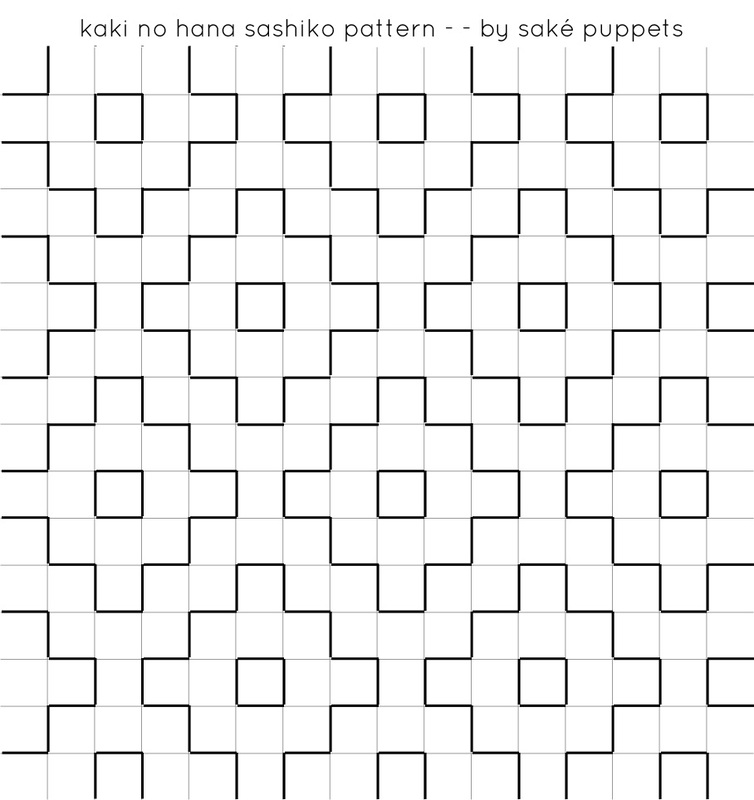 I have broken the kaki no hana (persimmon flower) pattern down and isolated just the horizontal and vertical stitch lines in separate graphics. 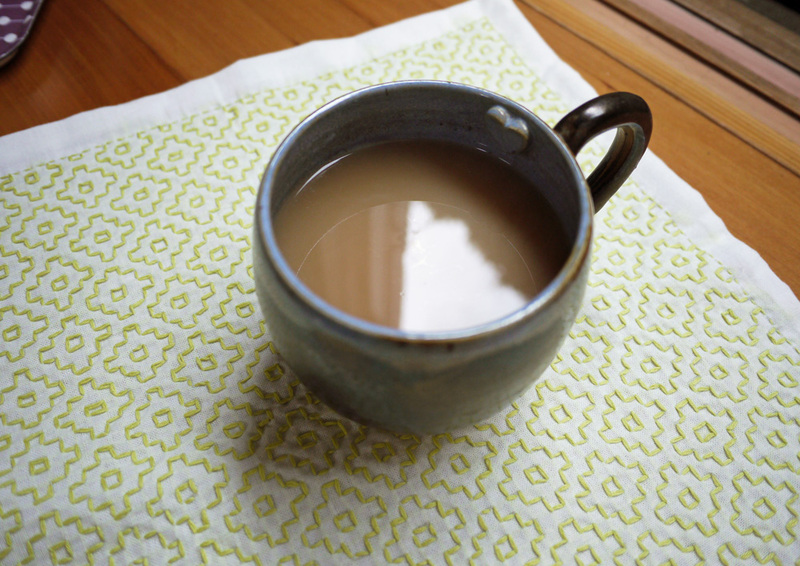 This pattern is done on a repeat, so you can make your project as large (or as tiny!) as you’d like. The key to remember is that as you work your line, you are always alternating stitches — one up, one down, one up, one down, and so on. 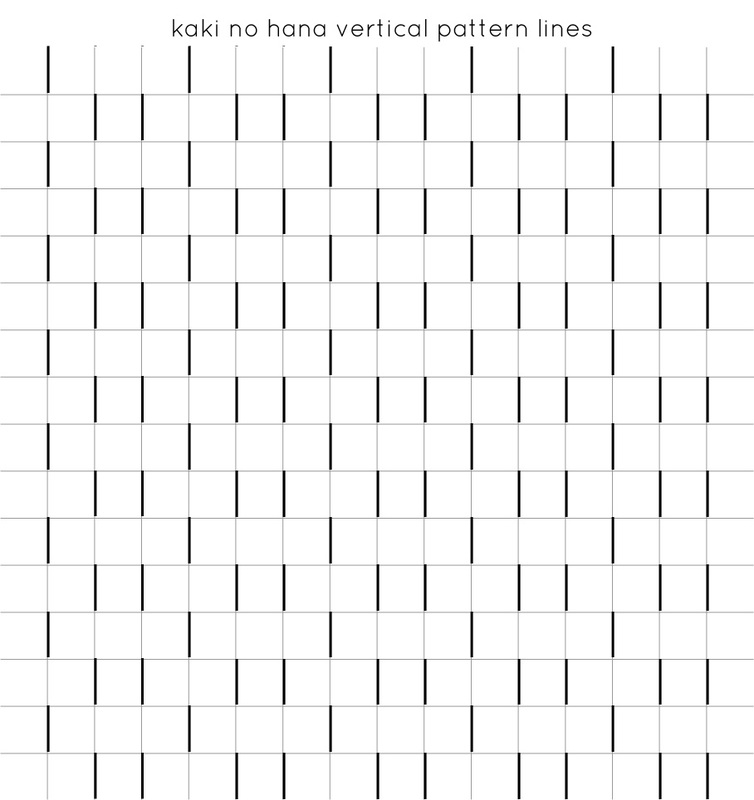 If you skip a space on the grid, it will throw your whole pattern off. Once complete, wash or spray your project with water to remove the grid lines. Hem or use bias tape on the edges for a nice finish. You can create different designs by changing the patterns on the horizontal or vertical axis. Enjoy! I look forward to seeing your masterpieces! I made this shirt and I don’t love it. I loved making it, but wearing it is another story. This is one of my hesitations with sewing clothes — what if you spend all that time making something, and in the end it’s not meant to be? I know that alterations can help, and with experience I will hopefully learn how a garment is constructed and can change it to fit my shape. But until then, I have this shirt. It’s not terrible. I put it on and I still smiled. After this photo was taken I was going to change into something else, but forgot and had to dash off to class. Both me and the shirt survived. 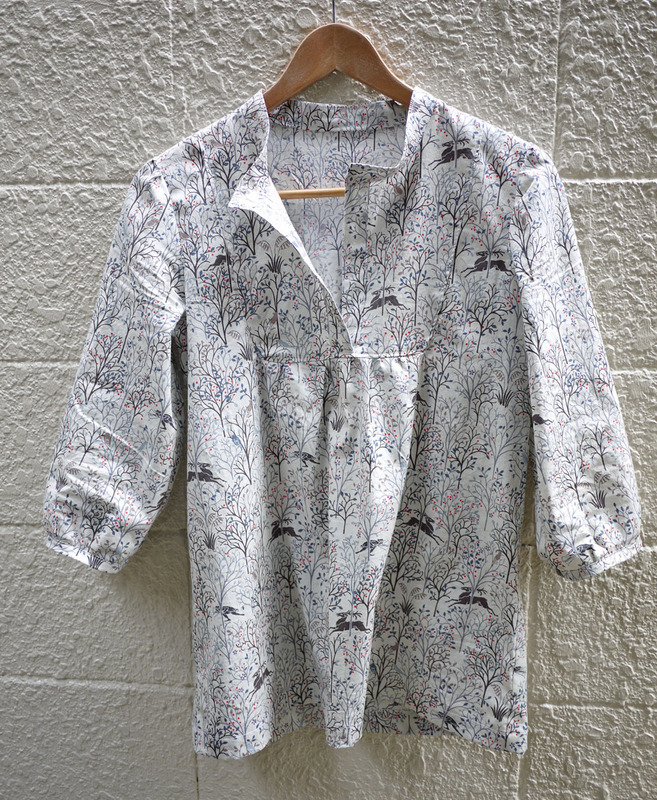 This was actually a practice shirt for some lovely Nani iro flannel I bought from Miss Matatabi, a fabric seller here in Japan. This practice fabric is some cotton I bought for cheap in Fabric Town, only because it has sneaky huntsman. The pattern is Wiksten Tova, and the fit wasn’t quite right for me. 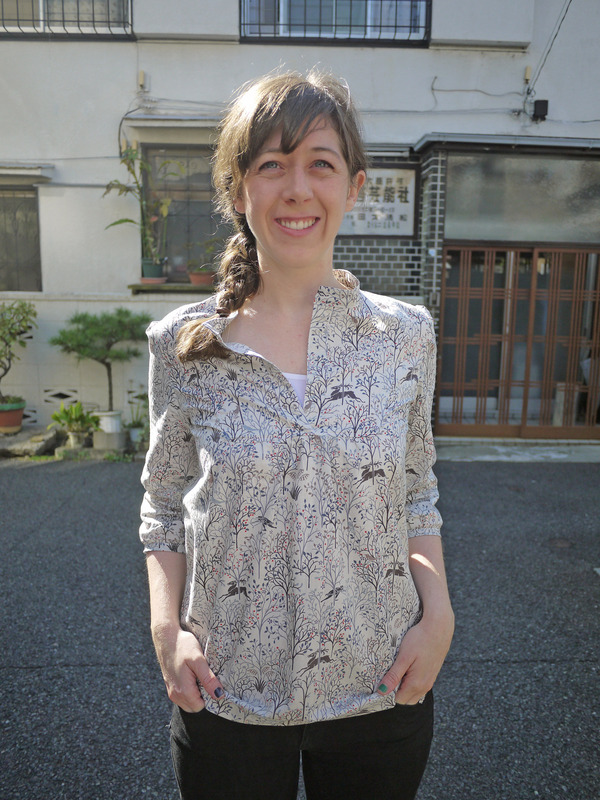 It is a perfectly decent pattern with easy-to-follow instructions, but I learned that this style of shirt isn’t for me. I might be the only person in sewing-blog land to say that. Sorry everyone out there. Maybe I’ll try it again someday, but I’ll be ready to try some alterations. It’s not you Tova, it’s me. Let’s just be friends. Have any of you made this shirt? Did you alter the pattern? I’m curious to hear!